Amazing tour. Our guide was excellent and brought history to life. You could close your eyes and almost hear the roar of the crowd as the Gladiators entered the arena. A wealth of history, if only the walls can talk. A wealth of history, if only the walls can talk. Wonderful guide we had gave us so much information that we eventually bought the book that she was using to show the before and after pictures. Great to see this, lots of walking up stairs, etc. Great to see this, lots of walking up stairs, etc. so be prepared. SOOO much to see at the Vatican. SOOO much to see at the Vatican. Definitely should go with a guide so that you can see as much as possible and skip the line. Visiting the Roman Coliseum was great. Visiting the Roman Coliseum was great. Once there, we arranged for our own guided tour for an additional cost. It was a great tour and allowed us to see more of the coliseum with an additional historical narrative. The Colosseum is incredible but our group was too big and our guide, while pleasant, had such a strong accent that he was virtually impossible to understand. We did the 5th floor tour, which just opened and was really, really cool. We did the 5th floor tour, which just opened and was really, really cool. You can see everything from that high! Nice to see once. We had “Skip The Line” tickets, which is a must in the summer time. Amazed at the ingenuity of the Romans in building it. LOVED our tours. Great guide, wonderful experience! Also enables you to bypass all the very, very long lines of people doing it on their own. We saw the Colosseum at night- sooo cool. Saw Forum and ruins. Just fabulous! The BEST of the BEST! This day is unforgettable. Knowlegable guide - passionate about subject matter and personable! Our guide was excellent and so informative. Our guide was excellent and so informative. Well worth d=taking the underground Colosseum tour. Long lines moved fairly quickly in comparison to the square and Basilica. Long lines moved fairly quickly in comparison to the square and Basilica. Rushed while there. Amazing regardless. Our tourguide met us at our pre-arranged point from our hotel. Our tourguide met us at our pre-arranged point from our hotel. She was very knowledgeable and gave us a lot of information. We had this tour booked as our afternoon part after lunch. Rome is fabulous and we enjoyed visiting again. Allowed time but not enough to explore for ourselves. I was just overwhelmed with the history here. I was just overwhelmed with the history here. And to stand where so much of it took place. It was amazing. Did not go in because of long line at security. Did not go in because of long line at security. Had about 45 mins. 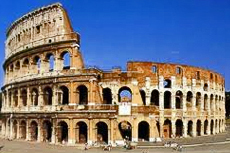 to walk around the Colosseum, see the Arch of Constantine and the Forum. We did the post-cruise transfer to Airport with St.Peter&apos;s Basilica and Colosseum. We did the post-cruise transfer to Airport with St.Peter&apos;s Basilica and Colosseum. We didn&apos;t hit these in our three days pre-cruise. Excellent guide and hostess.